Sonny’s is the world’s largest manufacturer of conveyorized car wash equipment, now offering OneWash, the industry’s first and only complete car wash management suite to promote the growth of car wash businesses by providing consulting, college, equipment, vacuums, controls, marketing, chemistry, and parts. What’s New/Best Seller • Custom Car Wash Signage. Advantages/Features • Engage and guide customers throughout the wash with custom signage that’s durable and affordable. 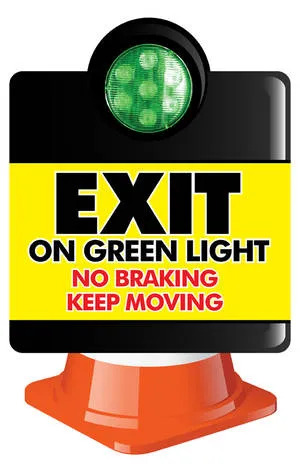 Increase customers’ awareness and safety by utilizing custom-branded lighted and non-lit instructional signs. These signs include disclaimer, safety, and warning signs as well as safety cones with custom signage. Customize the verbiage and design to fit your unique brand and message. Carolina Pride Carwash Systems and Solutions has been providing car wash operators throughout North America with industrial grade wash systems for over 50 years. What’s New/Best Seller • Car Wash Academy Online. Advantages/Features • Enhance your employee safety and training with Car Wash Academy Online. The academy has been developed to provide the car wash operator and employees with the tools and knowledge they need to efficiently and safely train your staff on the many aspects of car wash operations. Car Wash Academy Online was designed to make it easier for the operator to consistently train new employees and put them to work quicker. Mobile videos, allowing your employees to access them whenever and wherever it’s convenient on tablets, smartphones, desktop computers, laptops, and on multiple platforms. The academy provides the required hazard communication education and written test for your employees as well as procedures for safe car wash operations. Rugged CCTV manufactures high definition megapixel vehicle inspection systems for car washes. These patented systems are used in hundreds of washes all over the world. What’s New/Best Seller • The N-SPEX System. 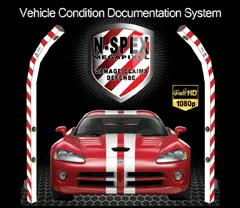 Advantages/Features • The N-SPEX System is used to document the condition of vehicles, from various camera positions and angles, as they enter the wash, during service, and as they leave the facility. Authorized personnel may view live or pre-recorded footage of each vehicle to detect damage or unsafe conditions, and to quickly determine if the damage or unsafe condition was pre-existing, happened while at the facility, or after leaving the facility. The system gives owners the high-resolution tools they need to avoid most damage claims. American Changer provides value and security to car wash operators by developing practical and cost-effective solutions. As an award-winning developer and leading manufacturer of innovative bill/banknote changers, bill/banknote breakers, token dispensers, pre-valued card dispensers, and other products, American Changer has built a reputable brand recognized industry-wide. What’s New/Best Seller • American Changer’s Remote-Access Board. Advantages/Features • American Changer’s AC8001-2 Remote-Access Board enables operators to monitor the status of their American Changer machine remotely. The solution grants access to a secure, convenient webpage that displays audit information and current machine configuration. An e-mail or text message will be sent to the operator should any troubleshooting occur, maximizing machine uptime and providing valuable, real-time information to car wash operators. G&G is a leading manufacturer of LED lighting products designed specifically for wet and harsh environments. The company is proud to provide high-quality U.S. made specialty lighting products and excellent customer service at competitive prices. What’s New/Best Seller • WPX Series – Wet-Location Linear LED Lighting. Advantages/Features • One of the largest but often overlooked benefits of LED lighting is the overall improvement on safety and security they can have to a facility. A well-lit site is much more inviting to customers as they feel both welcome and safe at all hours. G&G’s innovative WPX series LEDs feature industry leading brightness and efficiency. The system is fully connectorized for quick and simple installation. As with all G&G products the WPX series is proudly manufactured in the U.S., UL wet listed, and includes a 5-year warranty. For more than 35 years, Lock America has designed, manufactured, and marketed innovative security locks and security hardware for a wide range of industries. What’s New/Best Seller • High Security Replacement Plug Locks and Housings. Advantages/Features • All Lock America High Security Locks are registered exclusively to each customer. 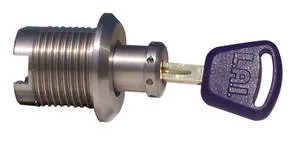 For the car wash and auto service industries, Lock America manufactures plug locks for pay stations and other applications, padlocks, disk locks, cam locks, locks for automatic payment modules as well as specialty locks such as The Pit Bull™ wheel lock. All of these locks can be keyed alike, even for different types, or keyed differently. The company now offers the same high-security protection in a gas dispenser retrofit kit that protects against skimming devices. Customer Service/Installation • All of Lock America’s customer key codes are maintained on its secure database. Most locks can be easily retrofitted to replace original equipment locks. Toll free fax: (888) 422-2866. Mile High LED Systems engineers, manufactures, and distributes LED lighting fixtures specifically designed for car washes. 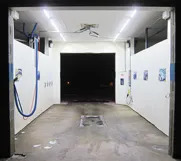 Complementary site-wide photometric planning ensures car wash bays, tunnels, perimeter lighting, equipment rooms, lobby areas, and other areas look bright and safe. What’s New/Best Seller • LEDTUBE-X for bays, arches, and tunnels; LEDKIT-U-HE for poles and wall pack upgrades; LEDLIN-X for detail bays and equipment rooms. 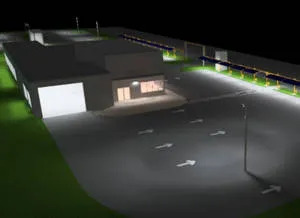 Advantages/Features • Uniform lighting across a site is vital to ensure security. Bright bays but dim wall packs and pole lights create shadows and make vending areas look less safe. Mile High LED Systems offers solutions to improve lighting across an entire location to ensure even, uniform, safe lighting. Solutions offers industry leading efficacy (up to 157 lumens per watt), meaning they cost less to operate and can save up to 88 percent on power usage. Products are backed by warranties of up to 10 years. Rowe Bill Changers is a pioneer in the design and production of reliable and durable credit card to token changers, bill busters, bill recyclers, and bill changers for all types of car wash locations. What’s New/Best Seller • Remote Alerts and Wireless Credit Card Combo Changer. Advantages/Features • Bill changers have less of a chance of vandalism when they are operational. The new BC1600 changers offer free remote alerts when changers are out of service via WiFi or Ethernet connections. Plus car wash locations are safer with reduced vandalism when using tokens and credit cards. Rowe uses PCI compliant, wireless USA Technologies ePort components to provide credit card acceptance in Rowe token dispensing machines. Car wash operators can honor MasterCard, Visa, American Express, and Discover for the low transaction fee of 2.55%. The MEI combo bill acceptor also handles $1, $5, $10, and $20 bills. Customer/Operator Support • Technical support is available toll free. Price • Available from a Rowe distributor. Using tokens rather than quarters or cash in car washes helps eliminate theft and discourage vandalism, especially in unattended areas. Often the repairs needed for equipment damaged or destroyed by thievery or vandalism far exceeds the value of the actual cash loss. 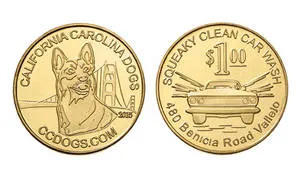 A variety of options allow car wash owners to select tokens which best suit their needs – from standard red brass tokens that replace quarters to high security tokens which eliminate the threat of cross-acceptance. What’s New/Best Seller • High Security Tokens. Advantages/Features • Van Brook offers three groups of high security tokens, each with a unique signature recognized in today’s electronic coin acceptors. Controlled Distribution CT Tokens and CTX Tokens have an exclusive use license within a 75-mile radius of your business as long as you continue to order tokens. Ultra-high security CT Tokens are needed for high-value applications. Hardest to counterfeit, they are made by combining two different metals to produce a unique and highly reliable electronic signature. CTX Tokens are made from special alloys not commonly found in coins or tokens. There are over 15 varieties, all with controlled area distribution exclusivity. Controlled value TimeSaver Tokens come in three sizes and are used solely for $1 vend price. They also use a secure metal not seen in coins or tokens.